Targeting a receptor on immune cells called T lymphocytes might activate the immune system to attack cancer. TRX518 enhances the activation of the immune system by targeting a specific receptor on T cells. The findings open up avenues of further study to understand the impact on clinical outcomes. MSK researchers presented data on TRX518, a type of drug called a monoclonal antibody. They found that the drug works by targeting a receptor on regulatory T cells, known as Tregs. The data could allow researchers to avoid a potentially serious side effect, but they also raise more questions. Before a cancer treatment is tested against the standard of care in a randomized phase III clinical trial, researchers initiate early-phase studies to answer a number of questions: Is the drug toxic? Are there biological signs (biomarkers) indicating that the drug hits its intended target? TRX518, a monoclonal antibody designed to enhance activation of the immune system, was reported to be safe in people last year in the first-in-human trial. 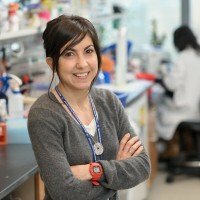 Now, Memorial Sloan Kettering research fellow Roberta Zappasodi presented data on clinical biomarkers and initial evidence of the mechanism of action of TRX518 in a plenary session at the 2017 American Association for Cancer Research Annual Meeting. Dr. Zappasodi works in physician-scientist Jedd Wolchok’s lab at MSK, where researcher Taha Merghoub is leading a collaboration with Leap Therapeutics, the pharmaceutical company developing TRX518. TRX518 is the first antibody that was designed to target GITR with the aim of boosting the body’s immune response against cancer. With the understanding that GITR is expressed on T lymphocytes (a type of white blood cell), researchers collected blood from patients before and after treatment with TRX518 at different time points and looked specifically at those cells for any changes. They found that the frequency of immunosuppressive T lymphocytes, known as regulatory T cells (Tregs), dropped consistently. In particular, researchers observed that the more TRX518 a patient received, the more Tregs were reduced. We have a drug that preferentially removes effector Tregs from the blood and reduces immunosuppressive Tregs at the tumor site. In addition, reductions in Tregs after therapy correlated with similar reductions of Tregs within the tumor itself in a subset of patients. Further analyses indicated that TRX518 directly causes Treg death, which explains why patients who were treated had fewer of them. This connection between TRX518 and the reduction in Tregs in the blood and tumors of patients sends a strong message. The principal idea behind immunotherapy is to train the body’s immune system to attack cancer cells. 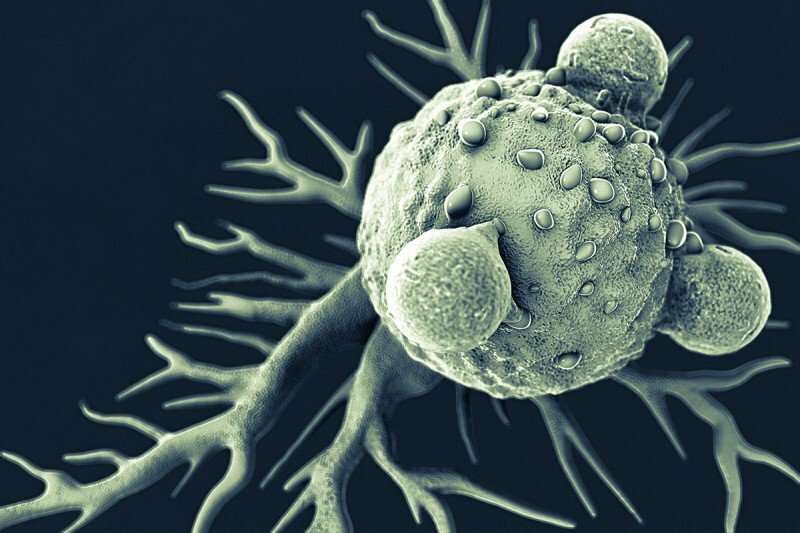 Because the main role of Tregs is to suppress the immune system, it makes sense that removing them could activate the immune system to fight cancer. Dr. Zappasodi says there are several more questions that need answering. Dr. Zappasodi also says she wants to further examine the underlying mechanism of TRX518 to understand how the drug removes Tregs in patients.